Early polls and the majority of pundits have concluded that Democratic presidential nominee Hillary Clinton won her first general election debate with Republican rival Donald Trump. The real estate mogul and his campaign beg to differ. 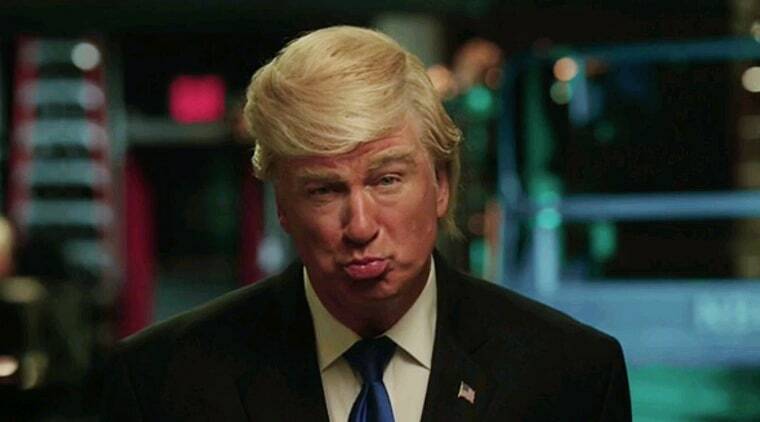 But on Saturday, the late-night comedy institution "Saturday Night Live" — which has scored a casting coup with perennial host Alec Baldwin playing Trump — will likely determine the winner once and for all. For more than 40 years, "SNL" has lampooned presidential races and candidates, and the general consensus has been that the show is usually at its strongest in an election year. With its weekly live broadcasts, the show can swiftly distill and cement public perceptions of current events. The series has also shown a deft ability to define politicians' personas — for better or worse. For some, Chevy Chase's exaggerated version of President Gerald Ford or Dana Carvey's over-the-top President George H. W. Bush are more familiar than the politicians' actual legacies. And sketches spoofing the likes of Michael Dukakis and Sarah Palin have had a much longer shelf life than the real-life versions' political careers. Ever since the show debuted in the fall of 1975, it's earned fans' trust in part by speaking truth to power. "SNL" was an equal opportunity offender, mocking Democrats and Republicans mercilessly, and making judgment calls about their foibles that traditional media either couldn't or shouldn't. In 1976, "SNL" had a field day with Ford's reputation as a stumblebum, making fun of his supposed simple-mindedness in the show's first-ever debate parodies. Ford himself tried to capitalize on the burgeoning hit's popularity, filming a cameo appearance (he uttered the legendary "Live from New York" line) and allowing his press secretary, Ron Nessen, to host. But the gamble backfired. Chase and his fellow "Not Ready for Prime-Time Players" seized on the chance to do even more ribald material than usual (including a commercial parody for a "carbonated douche") and to take direct shots at the sitting president and his predecessor, Richard Nixon, right in front of one of his closest aides. Still, perhaps the show's most stunning indictment of the sitting president came on the episode directly preceding the general election, when "Weekend Update" featured footage of Ford pardoning Nixon interspersed with images of the embattled former president grinning. Title cards then appeared: "Four More Years" followed by "Vote for Carter." Chase later claimed that the show was, and is, partisan. "[M]y leanings were Democratic and I wanted [Jimmy] Carter in and I wanted [Ford] out, and I figured look, we're reaching millions of people every weekend, why not do it," he told CNN in 2008. Although the show's creator, Lorne Michaels, has disputed the notion that the show picks political sides, Ford allies have conceded that the Chase impression may have contributed to his narrow loss in November 1976. In 1988, the Democrats probably fared worse in the "SNL" sweepstakes as Jon Lovitz very effectively picked apart their nominee, Massachusetts governor Michael Dukakis, for his flat, emotionless delivery. That same year Dana Carvey's iconic impression of George H.W. Bush made its debut. Carvey would become a household name playing that part for four more years. By 1992, Carvey's goofy rendition of Bush was a pop culture phenomenon, proving quite a contrast to Phil Hartman's hamburger-munching, "good ole boy" rendition of Bill Clinton. At the same time, the late Jan Hooks' take on Hillary Clinton as a cold-hearted careerist probably went a long way to cementing that persistent image of the then-first lady in Americans' minds. That year Carvey pulled double duty, also playing the eccentric third-party candidate Ross Perot. After Perot's VP nominee Admiral James Stockdale delivered an infamously awkward performance at his lone debate that cycle, "SNL" eviscerated them both with one of its all-time best political send-ups. But perhaps even more influential were a series of sketches late in the 2000 campaign — which doubled down on the image of Republican George W. Bush as malaprop-prone, swaggering cowboy (uttering faux phrases like "strategery") and Democrat Al Gore as a wonkish bore (repeating "lockbox" over and over again). The caricature of Gore, in particular, was so devastating his aides reportedly encouraged the then-vice president to watch the sketches to hone his real-life performance. Ironically, prior to the SNL sketches, tracking polls suggested the public viewed Gore as the debate winner. But once the spoofs caught on and sunk in, the perception changed (the New York Times' said he came across on "SNL" like "an overbearing know-it-all"), particularly among the show's younger-skewing audience. After a bitterly-fought battle over the historically close results, George W. Bush was installed in the White House, and Will Ferrell's hilariously dense take on the Commander-in-Chief helped catapult him to super-stardom. Last year, Ferrell — a progressive in real life — conceded in the documentary film “Live From New York!” that his fun-loving take on the former president may have helped win over voters. Still, perhaps no impression in the annals of "SNL" history has made more of an impression than Tina Fey's take on Sarah Palin. The performer and the politician are inexorably linked in the mind of the American public thanks to a series of sketches from the summer and fall of 2008, which often used the GOP VP nominee's real-life statements verbatim for comic effect. Fey was cast as Palin in part because of their striking physical resemblance, but the performance took on even greater significance after a series of gaffe-filled interviews started to provide weekly fodder for the show. According to Fey, her impression drew its fair share of haters but it also became a fan favorite, which the former cast-member has repeatedly resurrected even after the 2008 race came to a close. The writer Malcolm Gladwell was not a fan, calling Fey's satire "toothless," but even he has conceded that it made an indelible impression on the public, with many believing that "I can see Russia from my house" was an actual statement from the candidate. It wasn't. This past season the show has already had a field day with the wild and unpredictable GOP primary race, and the closer-than-expected clash between Clinton and her primary challenger Bernie Sanders, played memorably by "Curb Your Enthusiasm" star Larry David. Trump, in particular, has provided a unique challenge for comedians, some of whom have openly grappled with how much to editorialize about a man who has been widely condemned as xenophobic, racist and sexist. Others have had to contend with the strange reality that this year's race has sometimes been stranger than fiction.